If you have girls, there is a pretty nice dress sale going on. 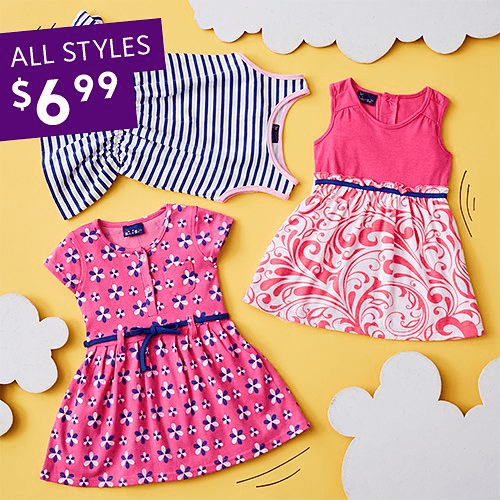 Right now Zulily has select girls dress for $6.99 or less! They have sizes from newborn to 6x little kid. I did see one dress for as low as $1.79! These are super cute and will be great for sprint and summer. This is a one day only sale. So for the best selection of styles, sizes, and colors, be sure to shop the sale early. Shipping at Zulily starts at $5.99.